Back in Wellington I couldn’t resist the call of Waikawa, so Becky, The Moose and I drove on up there today for some badass training. Originally The Moose had a hairdressing appointment booked at the same time but after a quick call to him he rescheduled. 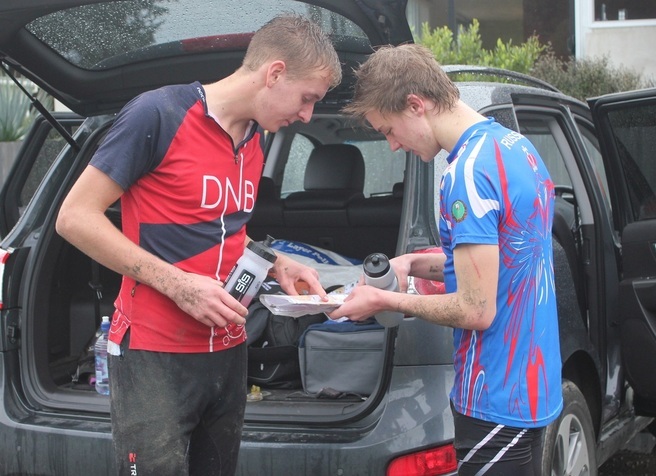 When it comes to orienteering, Shamillionaire’s perms can wait. We ran a set of 5 efforts, all mass started. Each effort took us into a different section of the terrain, bringing variety to the intervals. It was good to have the variation that tested our full palette of orienteering skills and push us hard. Waikawa is such a fun area, the physicality and brutality of it means you emerge at the other end of the course feeling invigorated and triumphant. 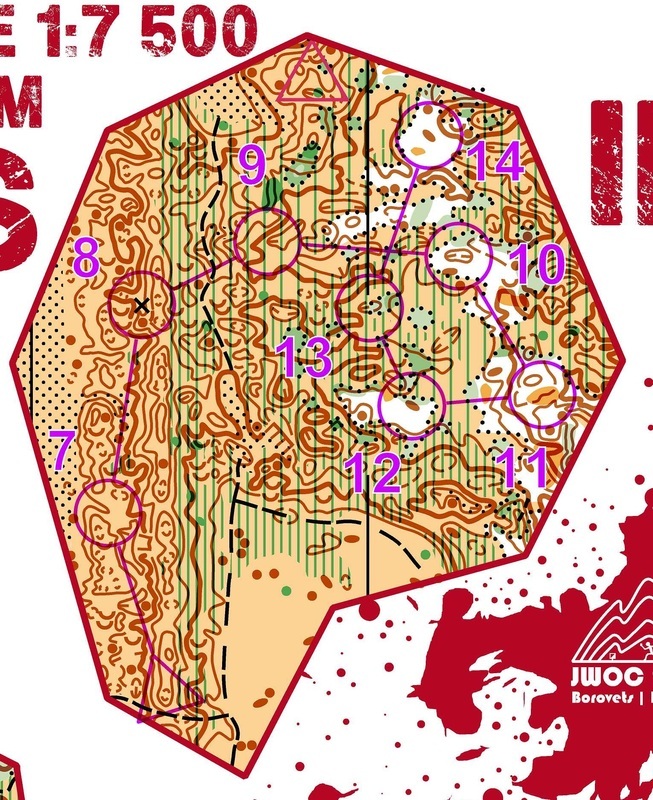 Check out the full map of the training under the “Maps” of the JWOC Group. 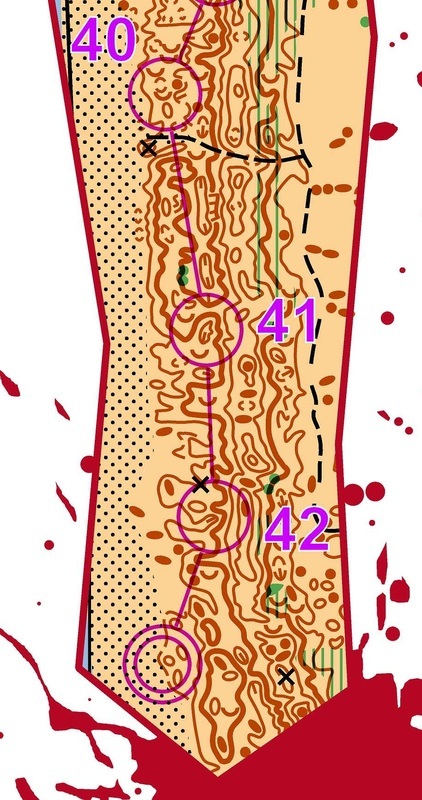 The first effort was run at the southern end of the map. 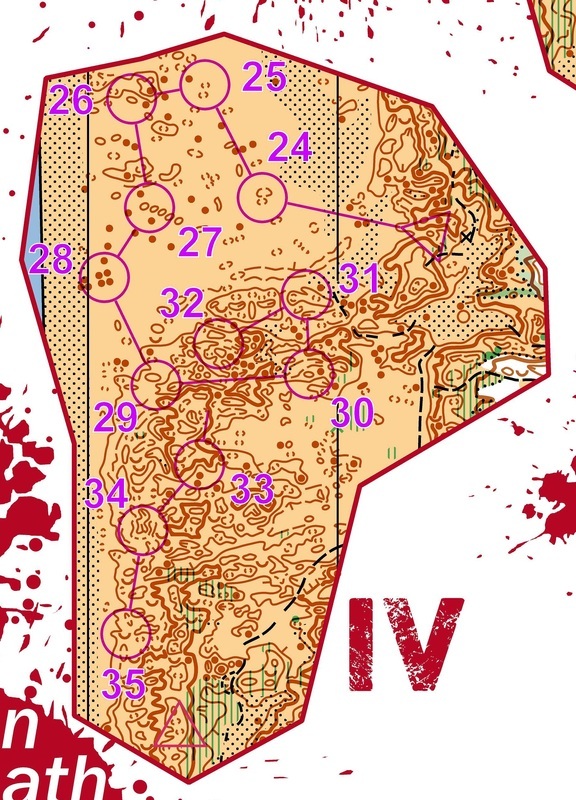 The good runnability of this part of the terrain combined with the obvious hill systems meant full speed and aggressive orienteering took control. Shampagne and I were together until the 2nd leg until he decided to run it straight to control 2 and dropped a lot of time. This isn’t Fusilier, Moose Boy! The second effort featured a nice scattering of forest. The changes between running and the open can throw a lot of runners and I lost small amounts of time being pushed to the side by better runnability. The strip of lupins to the east of 8 was also fairly bingo. Shamelessly and I were together at 18 but he got caught in a thicker section and Sham And The Dirt Was Gone! A fairly brutal start to the third interval, but fortunately on our legs the rest of it was slightly easier. If the hills and sand weren’t enough, Shamniqua was once again sucked into the lupins, losing over a minute. There is something about those bushes that he loves. 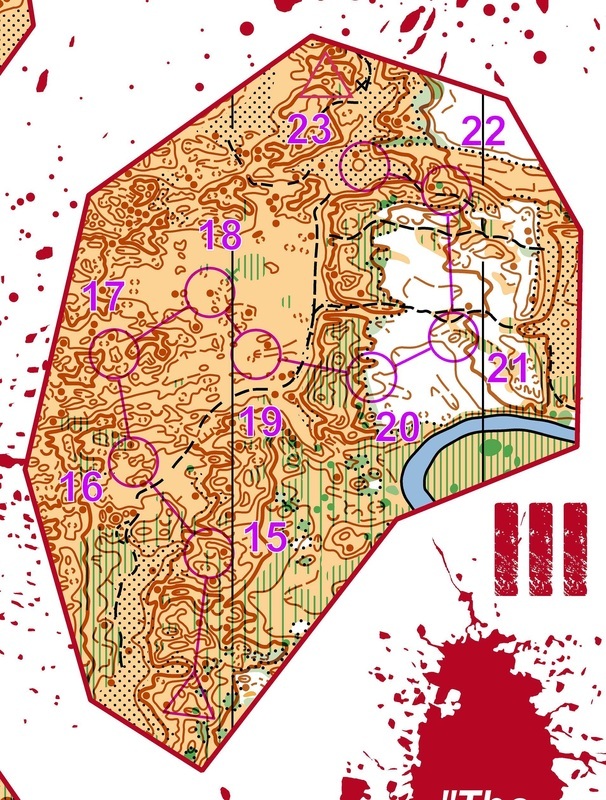 The section through the forest was fun, good to be running on the compass and not frantically searching for minute details on the map. Thankfully there weren’t any thickets in the 4th effort for Shampoo to go and hide in so we ended up having a fairly even battle across the flat. 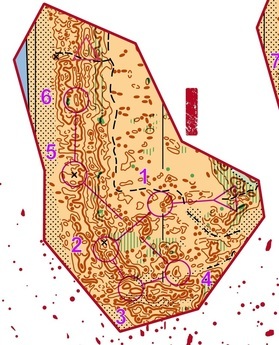 A few hesitations on both sides in the dunes meant the lead swapped around a bit for the second half. However at 34 when I said “I think this is it” and he replied with “What, 33 or 34?” I knew I had it in the bag. A final effort back down the coastal strip was fairly brutal and difficult in places, and I still can’t decide whether it was worth it to run along the beach for 38 and 41. Shamsational had kept a secret burst of energy for the end and managed to burn me off to the finish to win the final stage. The sensational training was followed by compulsory dip in the frigid sea as well as some awesome post-training nutrition from SiS. Just a couple more trainings left until I head over to Europe. Bring it on!